President Andrew called the meeting to order. Charles E. now a member of the Lake Oswego OR. Club. Charles brought us a club flag. Art R. introduced David W.
Canan introduced herself since she hasn’t been at a meeting in a while. Marion L. was also introduced. Thank you’s for the crab feed. - Dave was not here, but was thanked for hours of set up and break down. - Patti thanked the check in crew. Art was thanked and given the new name Solicitor General, he brought in $11,000 in sponsors! Patti also thanked the sponsors, including 7 members who were sponsors. - Tina thanked the chefs and food serve people. She also thanked Boy Scouts, Eric B and Interact. - Greg thanked the bartenders. - John thanked the everyone who helped with the AV system. - Amy thanked the social media/PR group. - Lisa C. thanked Patti, wine donors, donors of gift baskets and Art. - Art shared a story about tracking down sponsors. 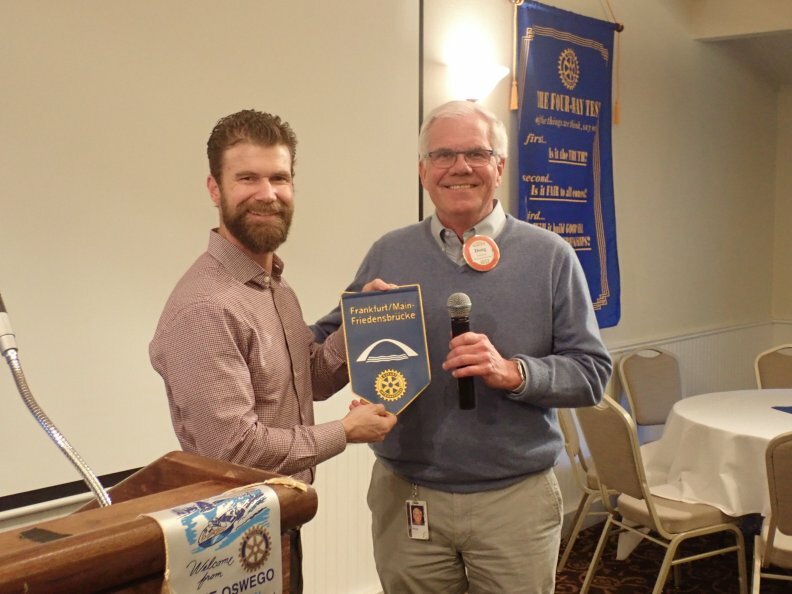 - Suzanne told us the Paddle Lift for Eyes raised $11,000! - Suzanne thanked Neil and Paul who weren’t there but did a great job. Rotary Champions are due at the end of February. 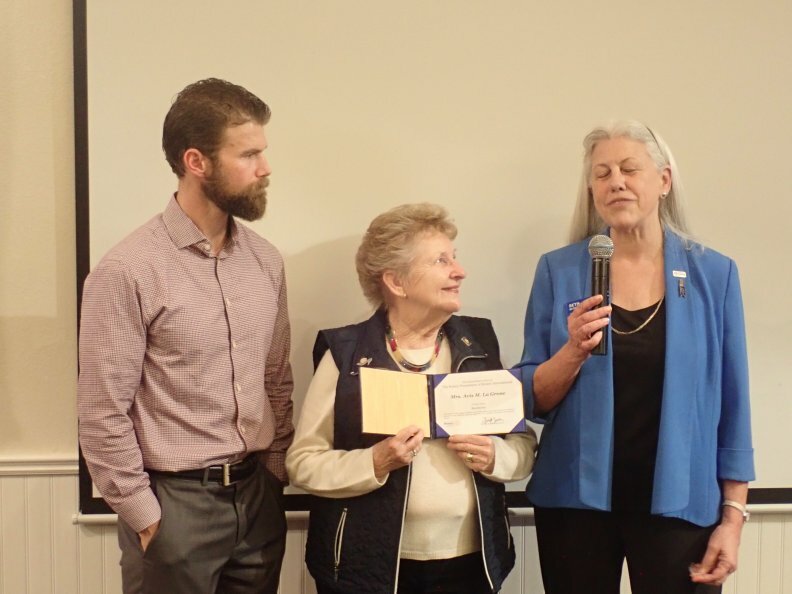 Janet L from the Saratoga Inter Wheel announced their annual fundraising raffle which provides prosthetics for children from 6 months to 20 years. John announced that Eric E. had crab cakes, steaks, and crab meat available for sale. Thank you to Eric for all your work. First Thursday is February 7 at the Toll House. Doug B. brought a flag from Frankfurt Germany where he attending a meeting at the end of a business trip. Marlon sponsored Erica B. who works with YSI and looks forward to getting involved in the community, particularly youth projects. Art sponsored David W. Andrew mentioned he serves on the budget committee for the school district with him. He also volunteers with the Silicon Valley Red Cross. Amy introduced our speaker Beth Garrow, CRFE from the Rotary Foundation where she is the Major Gift Officer. 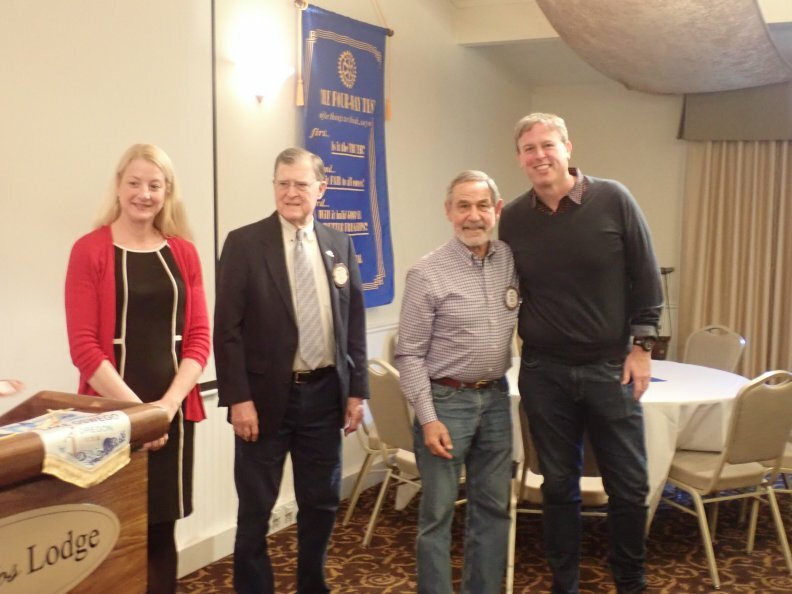 Beth has been a Rotarian since 1989. Beth’s presentation was titled “Engaging the Next Generation in Charitable Giving”. She began but talking about why and how we should engage our children and grandchildren in philanthropy. Beth also spoke about Donor Advised Funds. She gave us examples of how she has seen Rotarian families use this as a way to donate to causes that are important to them. The donations can be made to the Rotary Foundation, but are not limited to Rotary projects. District 5170 has raised $25M for the foundation and our club has raised $916,000. Special recognition was given to Avis who has been named a Foundation Benefactor. Beth was pleased to be here to make this presentation to Avis. Thank you, Avis, for your generosity! Next week’s speaker is Stephanie Heckman from the International Rescue Committee.